Nick Taziano and Jane Wilson used to be step-siblings, the happiest day of their lives was when their parents finally divorced and they would never have to see each other again. Or so they thought [**gasp**]. 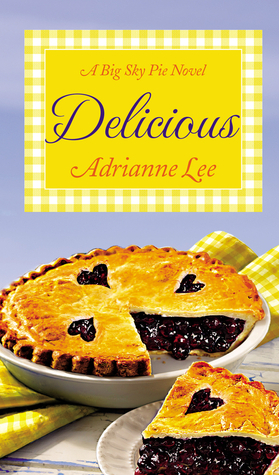 Ten years later, Jane is the new pastry chef at Big Sky Pie and is loving her life, minus her mom’s crazy love-life; lady is a serial bride. So when her mother calls with news that she has a new fiancé all Jane can think is not again. But, if Jane thought her mom getting herself a new man was the bad part, imagine her shock when she finds out the new man is actually an old one. Yes, you guessed it; it's Nick's dad and these two ex-step-siblings are about to become step-siblings again. Nick gets to share a kiss with some girl at his dad welcome home party and imagine his shock when he discovers the girl he can't get out of his head is Jane. Jane can't believe she's kissed Nick and worse, because Nick is best friends with Quint McCoy son of Molly McCoy the owner of Big Sky Pie Jane is going to be seeing a whole lot more of Nick now that Molly has hired him to drum up the advertising for her new pie shop. Nick and Jane come together to break-up their parents, but along the way they find that they shouldn't mess with love and that they should spend a little more time working on their attraction and a lot less time messing with their parents. The story is sweet and amusing, these two go from hating each other to finding love. It's a nice quick read with a fun surprise at the end.